Threatened by poaching, deforestation and civil war exists a swathe of montane forests that blanket the Virunga volcanoes. 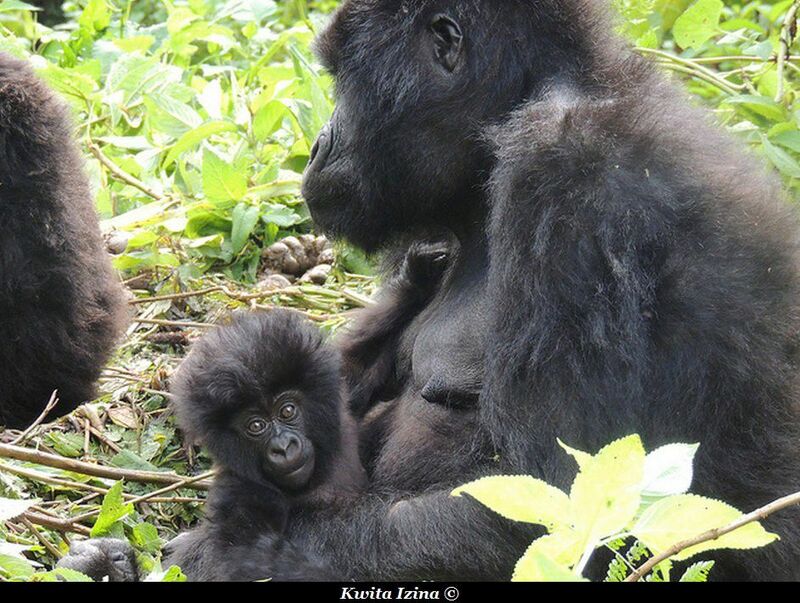 This is home to a multitude of plants and animals including the world famous mountain gorillas. A dedicated team of rangers guide tourists into this special realm sharing their passion and knowledge in the hope of preserving the Virungas and its wildlife. This article focuses on the necessities for planning and hiking in the Rwandan part of the Virungas and useful tips for photographers attempting to capture that perfect gorilla portrait. Accommodation is based outside the ‘Parc National des Volcans’. Most lodges are a short drive from the park headquarters. All tourists assemble here at first light to get their permits checked and a guide assigned. In order to limit the number of tourists that visit the gorillas, permits need to be bought well in advance from the Rwandan Tourist Board. You will be placed in a group of roughly 8 people. Your guide starts off by explaining the do’s and don’ts of gorilla watching. He will talk you through the different members of the family and give you short spiels on their personality or their relationship with the other members. Your entire group then proceeds to a pre-determined location to start the trek.